The result of the U.S. election may further aggravate the oversupply situation in the global PV market, according to Celeste Tsai, analyst for EnergyTrend, a division of TrendForce. The federal Investment Tax Credit (ITC) for solar power, which the U.S. Congress has extend to the end of December 2022 will maintain PV demand in the U.S. at 8~13GW each year from 2017 to 2019. Trump’s energy policies are explicitly fossil-fuel centric and particularly rely on the shale oil industry. Under his “America First Energy Plan,” the U.S. is to achieve energy independence by exploiting domestic reserves of shale oil, natural gas and clean coal. The promotion of these energy sources are expected to simultaneously lower domestic energy prices, reduce carbon emissions and create economic growth. What is noticeably absent in Trump’s energy plan is the development of renewable energies. At the same time, Trump’s “America First” policies will result in protectionist initiatives that target allegedly unfair trade practices by the Chinese government. Two popular themes in Trump’s agenda are the perseveration of domestic industries and fixing the huge U.S. trade deficit. Hence, it is possible that a Trump administration will use extreme measures against China in the area of trade. For Chinese solar companies, they are mainly concentrated on the manufacturing side of the industry. So far in the short term, they have circumvented U.S. trade barriers by moving their production facilities outside of their home country. From the long-term perspective, however, the U.S. solar market is expected to contract significantly under Trump’s policies and the oversupply problem in the global PV market will get worse. 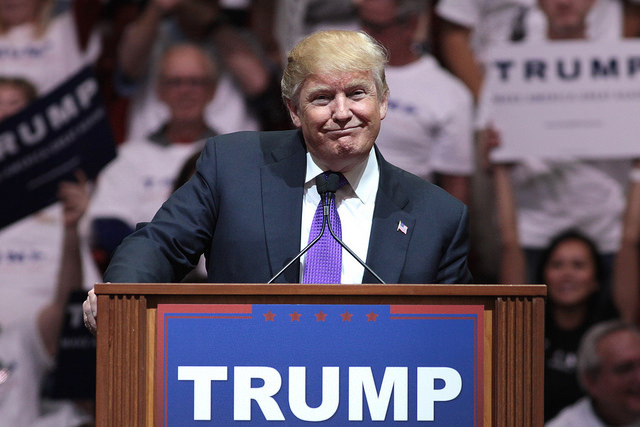 In sum, PV industry participants will need to prepare for a period of uncertainty and challenges following Trump’s ascension to the White House.